They say that January is the hardest month to get through: post-holiday depression, bad weather (we got like six inches snow here in Seattle. WTF? ), little daylight, and a groggy sense of returning to the real world after a month where it seems everybody but you had at least two weeks off. And then there’s been the recent Animepocalypse where it seems like the US industry is hitting another particularly rough patch. It doesn’t really make you chatty, does it? Since we’ve largely been toiling away in silence, here’s a look at what’s been going on since recovering from our New Year’s hangovers. The biggest announcement is that after some minor delays, the new hard copy editions of Go Go Nippon! 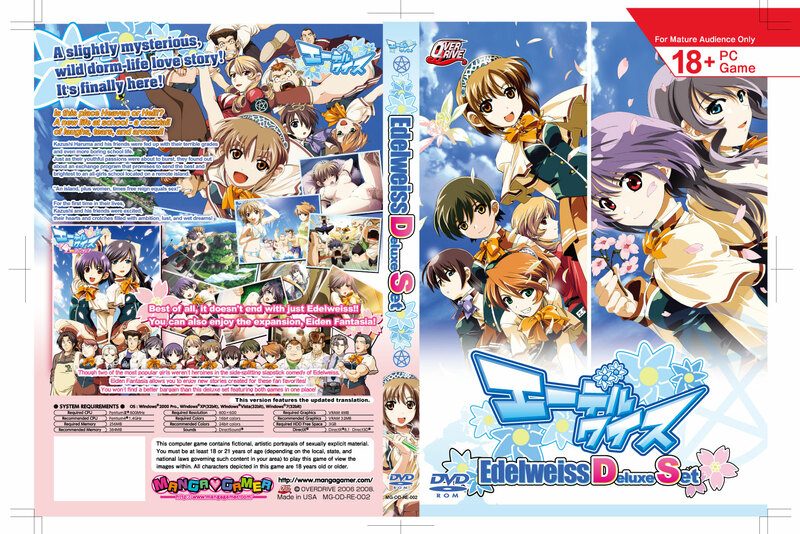 and the Edelweiss bundle have cleared replication and are in-stock at J-List and fine anime stores everywhere. We Love Master is still in replication due to us trying to source and fix an installation bug, but should be in stock soon. As for the fourth hard copy? Well, it’s cleared beta testing and textual corrections and is off to Japan for further work there. We still aren’t saying what it is, but trust us – this surprise is well worth it. Continuing on the line of beta testing, the last nukige in our current series has completed testing, as has DEARDROPS. Not wanting to tempt fate, we’ll be setting the release dates as soon as we receive word that all the fixes are in and the gold master has been locked down. With luck, we’ll have both of them out this Spring. Once DEARDROPS is finished and ready to go, scripting and testing will commence on Dengeki Stryker. Likewise, we’re down to the finale for translation and editing on Harukoi Otome, so we hope to have it finished before the end of this week. As for ef, we’re pleased to say it’s cleared another round of testing and is with minori for what everybody is hoping will be the final set of corrections. If you just can’t wait, the first episode of the anime is available for free streaming on The Anime Network, albeit dub-only. We’re also still in negotiation for some new games with new partners. You’ll have to wait until the ink’s dry on the contracts before we can say anything else, though. As always, there are a couple more things going on that we can’t mention here. All we can say is that there’s some true awesomeness in the works and while we haven’t made many big announcements lately, we’ve certainly been hard at work. Tagged DEARDROPS, Dengeki Stryker, Edelweiss, ef, Harukoi, Manga, minori, NEXTON, OVERDRIVE, Videos. « Hey, Ho! The Happy Freelance Life! Super excited to get to play ef in the near(ish) future (hopefully)!! like every update,we are still waiting for announce of shin koihime musou,for gods sake announce it already i’m tried of waiting. even GOD is waiting MG…. hah, you know…I said the EXACT same thing to my friends on MSN…the damn near exact same thing cept with different characters. The ero manga image was bothering me so much because I knew I saw it somewhere before. Then I looked at my some of my Japanese ero manga and realized it’s drawn by Yuzuki N Dash. I’m guessing then the first manga release is going to be Onekore? I’m looking forward to it as I like her work! I’m probably getting my hopes up now. Seems like in every post mentioning the 4th hard copy its a surprise that is well worth the wait. In addition it’s also a title that is available to purchase already on the download site. Though in all of this, it is still not Shuffle! so I’m guessing Soul Link is a no as well and many people didn’t like Soul Link (I did though) so I doubt many are going to be screaming for joy if that is the surprise and the other reason is….well its Navel. Now it probably won’t be a nukige title or at least I hope, but it was also never mentioned it won’t be one. Then there’s Suika A.S+ which I would love to have a hard copy of, but then again it doesn’t seem to be that popular though chances are also on this one. Kara no Shoujo is also said to not be it. *ku ku ku* I believe that this year’s offering is going to be quite exquisite. Assuming you mean for all of January, us in northeast Ohio can easily get that much in a DAY, and even then it’s nothing that special…I mean, schools and stuff will still be open. i guess you`ve never felt a Canadian winter. It’s my understanding that Canadian winders are merely colder, but thanks to the wonders of lake effect we can even get up to 6 feet of snow (like Buffalo, NY is somewhat famous for). However, where I live isn’t east enough of the great lakes to get THAT much – we’ve maxed out at “only” 2 to 3 feet. Here in Seattle, six inches of snow is a big deal as we have lots of steep hills and very little infrastructure for clearing up the one or two snowfalls we get per year. As such, anything over an inch can bring the city to its knees. More Cartagra, please 🙁 The lack of Innocent Grey news is really disturbing. Doesn’t the 2 explicit HCG on the back of the Edelweiss cover sort of negate the purpose of having the disclaimer about content on the same page? I’m going to make a guess at what the fourth hard copy is, but since it would be embarrassing if I got it wrong, I’ll just hash it instead. is that some kind of hexadecimal code? No, it’s a hash. If I’m not mistaken, it’s an MD5 hash. I already tried to reverse it, but no luck. But to just call it a hexadecimal code is not enough. New partners, going for a long shot that’s probably as out there as Type-Moon and Key but chance of a .5pb game being localized? I mean really, at this point I’d be shocked if either type-moon or Key licensed a game to MG in my lifetime (I’m 23 for the record). They just won’t do it because their titles carry too much weight in Japan and even if they were willing, MG couldn’t afford the licensing fees. Everyone wants their games, but they just don’t see the potential in overseas market. This whole comment might offend some people but I seriously have to say it….1000 sales to me sounds like it doesn’t even WOW them when their titles are selling like hot cakes in their own country for a price that every westerner says is ridiculous. If they’re happy for 1000 sales, they’re just being nice imo. Of course its actually an impressive number to us, albeit sad. I’m pretty sure the western fans of fate stay night (anime) knows more about its origination than they let on. And if someone even mentions “Key” once, I’m pretty sure they know what a visual novel is. How can a person claim that Clannad is their favorite romance anime, that Key apparently writes the best romance stories, and then have no clue to what a visual novel is? Unless a person’s never heard of wikipedia before then I guess its kind of believable….kind of. Then again if a person has never heard of wikipedia then…..XD Then if a person has wikipedia clannad before but has never heard of a term “visual novel” before then…..wtf!! XD for what purpose do they use wikipedia for? But I’m more concerned with the fact that we keep getting their PSP stuff. Do they not realize that the PSP’s popularity is just like the Xbox 360, except reversed? The only systems that seem to have any consistency in all regions popularity-wise are Nintendo handhelds. I know I’d like to see Steins;Gate in English, but besides that and Chaos;Head, I thought all of 5pb’s games were for consoles and handhelds, not PCs. (Actually, I tend to think of 5pb as being that character in Hyperdimension Neptunia.) 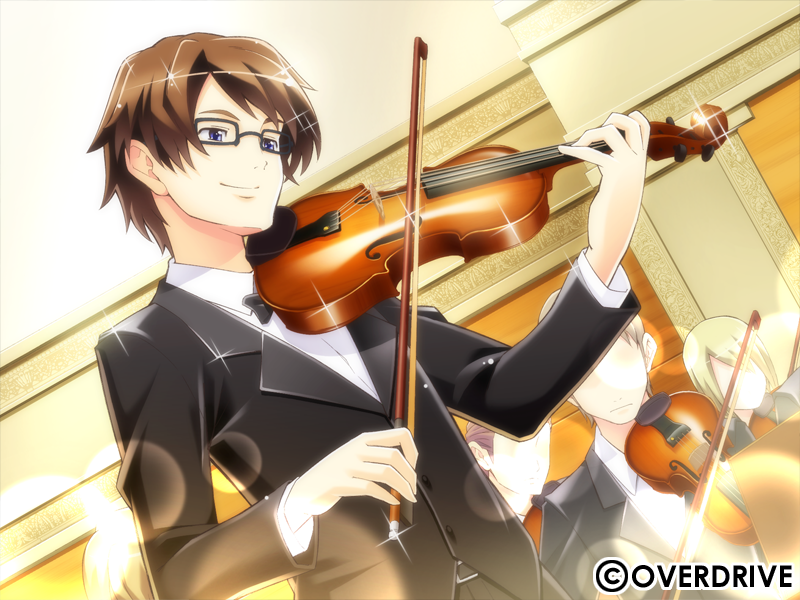 Mangagamer hasn’t tried localizing visual novels on the PSP, have they? So I started watching ef tale of memories via anime and I can see why it’s getting the hype. Seems like it’s a big title and got quite the following, so hopefully it will support MG by returning a reasonable profit. 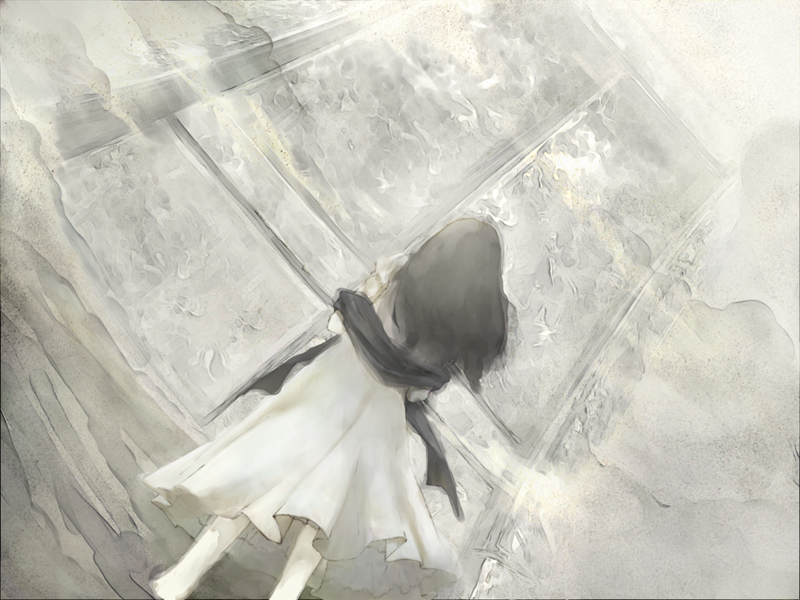 Also, go buy Kara no Shoujo if you haven’t. Can’t wait to buy Deardrops, I just loved the trial. 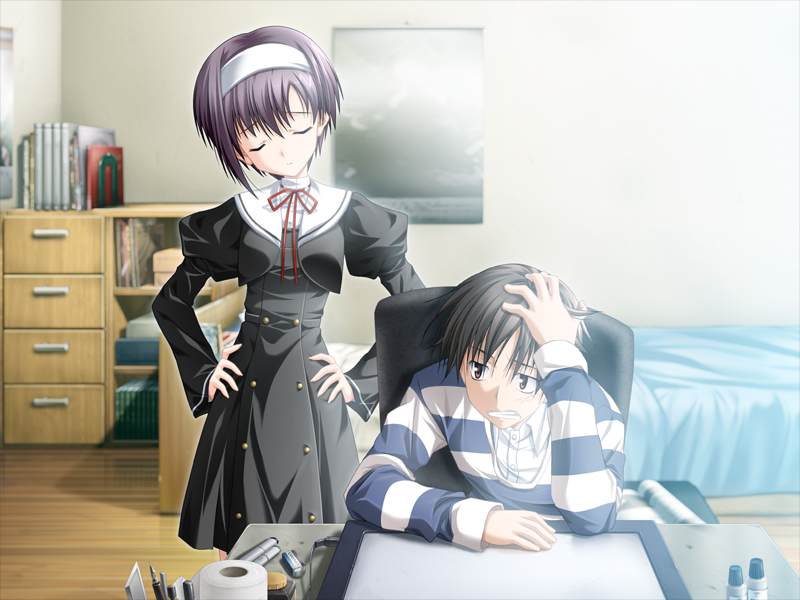 The screenshot after DearDrops is from ef.